Chiara Ferragni never fails to provide us (and her over 10 million Instagram followers) with a daily dose of fashion inspiration. And while she often wears pieces that fall slightly out of our price range, re-creating the looks on a budget is definitely possible. But that's not to say the fashion influencer's closet is only chock-full of designer pieces. In fact, she just took to her Instagram to document the cutest and most affordable T-shirt that every '90s girl will definitely want to buy ASAP. 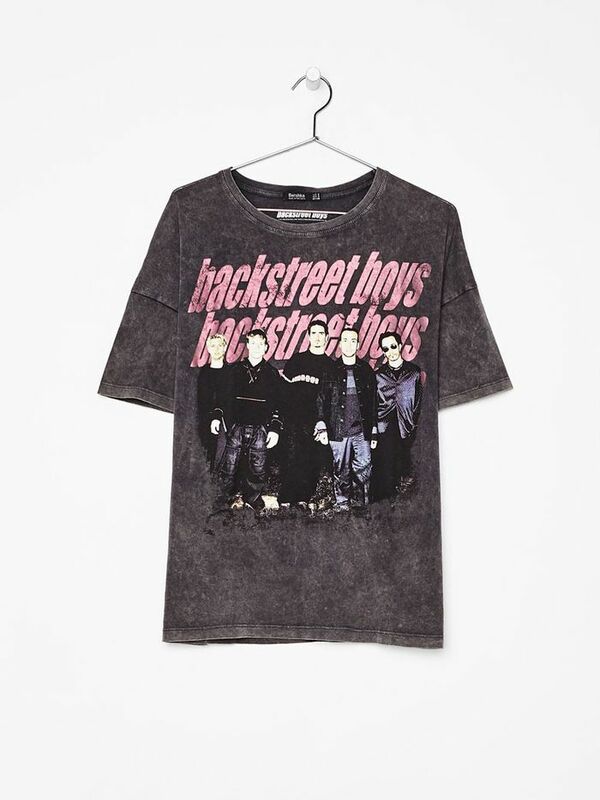 After a bit of research, we discovered the Backstreet Boys tee Chiara's wearing in an Instagram picture is actually from Zara's sister brand, Bershka. And luckily for you, the brand just launched in the U.S., which means you can get your hands on the nostalgic shirt right now without dishing out more than $23. It's versatile (style it with a pair of distressed jeans or leather trousers), affordable, and It girl–approved. What's not to love? Scroll down to see Chiara Ferragni rocking the super-affordable tee and shop the style for yourself. Up next, see which Halloween costume is the most Googled of 2017.